Barry is the proverbial “it” place at the top end of High St at the moment. Everyone I’ve spoken to has either been or plans to go soon. I’ve been wanting to go to Barry for a while myself, and I decided to head there in my quest to make it out for breakfast more often. From what I had read on the menu it seemed like a slightly health conscious place with various contemporary twists on somewhat classic dishes. I was dining with more than one person and everyone was after their own dish, which threw me completely (if you read regularly you’d know I need to try everything). I couldn’t decide between their super food salad, the burger, Korean chicken sub or the eggs benedict. 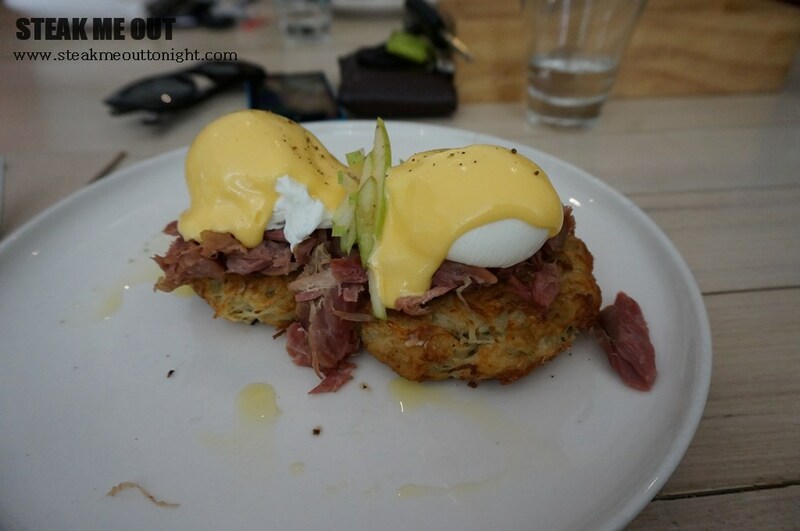 After 15 (shameful) minutes I ordered the eggs benedict, which was served with an Apple cider hollandaise, slow braised ham hock instead of ham and potato rosti instead of the usual toast or English muffin, on paper it sounded delicious. Around the table was the chilli scrambled eggs (this is becoming a trend in most places, let it be noted) the burger, the brioche with raspberries, mascarpone and halva, and a special, ‘the Doc Martin crumpets’ with vanilla ganache and berries. The wait for the food was long and noticeable due to the lack of service on drink as well; our coffees weren’t hot and other drinks were simply forgotten. 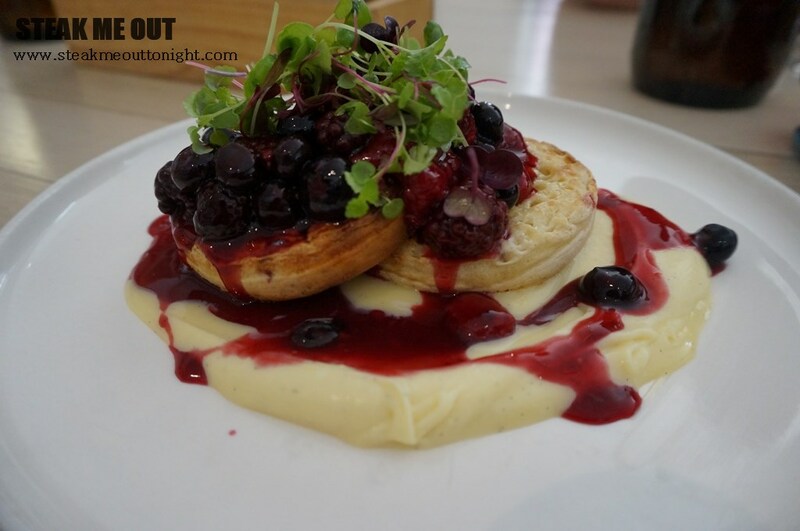 Finally the food arrived, and the crumpets definitely looking like the best dish on the table. I dug into my eggs and was, in a word, disappointed. The eggs underdone, the rosti’s raw and the “twist” on the classic eggs benedict flailing wildly in comparison to a well done classic. The brioche however was really nice, good mixture of flavours and texture, with the raspberries having rosewater delicately infused in them. Definitely something i would consider ordering again. Finally the crumpets. 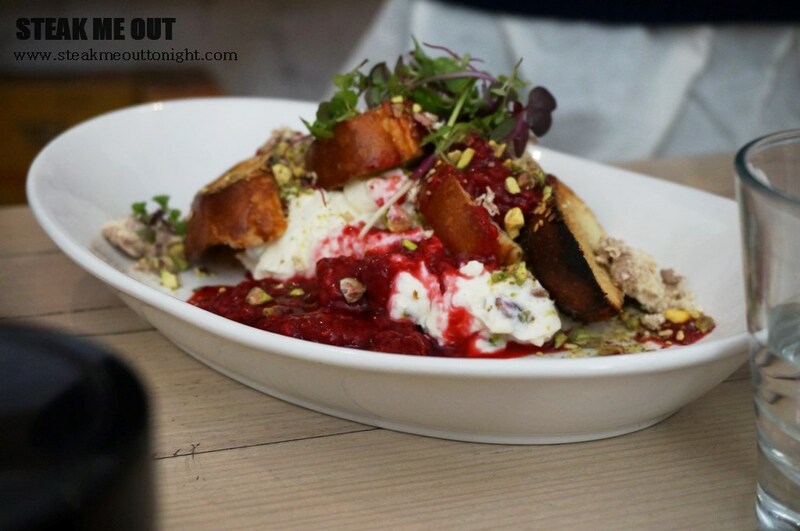 Apparently at Barry, looks do count; because not only was it the best looking dish but it was the best dish we had. Creamy, rich, and exquisitely vanilla ganache with a fresh berry compote that complimented it flawlessly. 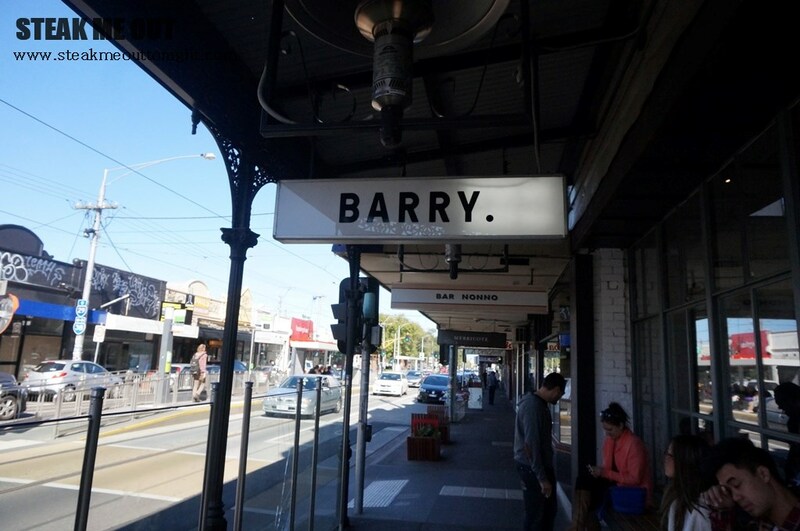 There are many more items on Barry’s menu that intrigue me, and while this visit wasn’t stellar, the thought of the ‘have not tried’ are greatly stacking up for a return trip. 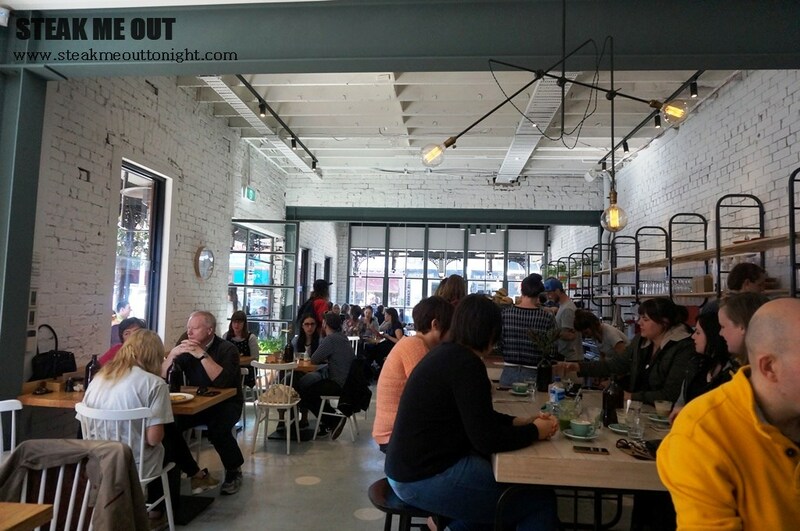 Posted on August 12, 2014 October 13, 2015 by AdrielPosted in Brunch n LunchTagged Breakfast, Brioche, Crumpets, Eggs, Melbourne.